1. How can QuEChERS benefit me/ my work? QuEChERS with CarbonX can streamline your workflow, reduce the number of preparation steps, reduce time required to evaporate, reduce maintenance costs, and improve calibration stability. In general, QuEChERS removes matrix and leaves the analyte in solution. Thus in your method development, you often can use it in combination with SPE and determinative steps to quantify multi-analytes. 2. How long does the QuEChERS procedure take? The actual extraction and dSPE cleanup procedure should take no more than 90 minutes at the most for 25 to 30 samples. The time limiting step is the removal of toluene (if used). 3. When do I choose QuEChERS over SPE? The QuEChERS method is applicable to your work if you are interested in eliminating matrix interferences. This technique works particularly well for solids, semi-solids, viscous liquid mixtures, and small volumes of liquid samples. 4. 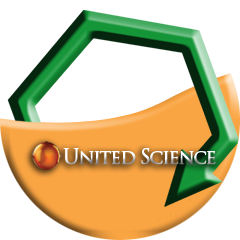 How much does United Science compare to other vendors in terms of cost? We are priced at market prices. You will pay no more for our all our benefits, cost savings, time savings. It all adds up to a whopping deal. You can learn more by visiting our QuEChERS page. A sample typically costs a few dollars per clean-up. The QuEChERS method allows you to use less hazardous solvent in much reduced volumes. The costs of hazardous solvent disposal and general large volume solvent disposal are eliminated. At the same time, you will attain a much better cleanup of the samples, which will help increase analytical column lifetime, saving costs in buying new columns. 5. How do you select the appropriate dSPE kit for the QuEChERS method? UNIVERSAL dSPE kits designed to work for a wide variety of matrix including apples, oranges, lettuce, coconuts, avocados, nuts, seeds, spinach, berries, peppers, chocolate, black olives, dirt, beef, fish, protein tissue, water, etc. 6. I am not regulated by either the AOAC or EN standards. Which extraction kit should I choose? If you are analyzing a large number of pesticides or the analytes of interest are pH dependent, you can use either buffered extraction kit. If you are only interested in several compounds or the target analytes are not pH dependent, the original non-buffered kit can be used. 7. What is the difference between the AOAC and EN QuEChERS method? 8. In what circumstances would you choose the 1 mL QuEChERS dSPE kit and the 15 mL dSPE kit? The 1 mL dSPE kit is appropriate for laboratories using large volume injection for GC/MS. The 15 mL kit requires concentration of the final extract and solvent exchange to toluene for GC/MS in order to achieve 10 ng/g detection of the pesticides. 9. What is the role of magnesium sulfate in the extraction and dispersive cleanup step? mixture and induces phase separation with acetonitrile. 10. My QuEChERS analysis includes quite a few acidic pesticides. Will PSA lower their recoveries? What modification can I adapt? ectly analyze supernatant from the extraction step but you will likely experience liner and/or column fouling. 11. Why does the QuEChERS method recommend homogenizing frozen sample with dry ice/liquid nitrogen and extracting samples while frozen? e. Samples should be extracted while frozen to prevent analyte degradation. If precipitates appear during reconstitution, you can sonicate and centrifuge to see if precipitates go into solution. Change your reconstitution solvent to a stronger solvent or add some water. Sonicate and vortex before adding water. 13. Why is the original QuEChERS method non-buffered? a few compounds demonstrated pH dependency. Therefore the buffered methods were introduced. 14. In the extraction step of the QuEChERS method, what are the AOAC guidelines for adding extraction salts, and solvent? 15. In the dispersive SPE step of the QuEChERS method, what are the AOAC guidelines for adding magnesium sulfate and SPE sorbents? 8 mL aliquot from the extraction step undergoes the dispersive SPE cleanup step, 1200 mg of magnesium sulfate and 400 mg of PSA is recommended. 16. In the QuEChERS method, how much (in volume) initial extract and dSPE extract should I expect after centrifugation? A 15 g sample yields around 11-14 mL of initial acetonitrile extract, depending on the water content of the sample. In the dSPE step, almost half of the extract will be lost to dSPE blend of salts and sorbents, resulting in roughly 6 mL of final extract from a 15 g sample. For dry samples containing less than 80% water, you can start with half the sample amount and add cold water to make up water content to 15 g for the AOAC method and 10 g for the EN method. EN 15662 provides specific guidelines for water addition to different matrices. For example, addition of 10 mL of water is recommended for 5 g of cereal sample. ts when dispensing into the centrifuge tube. Will my results be affected? and water. Spilling some if it (<1g) will not affect your results. 19. Is it necessary to dry down and reconstitute the extract from the dSPE step in the QuEChERS method for LC/MS analysis? Evaporating the sample and reconstitute it in initial LC mobile phase solvent improves chromatography. It is required if you are running reverse phase HPLC and your sample is in a nonpolar solvent such as toluene or hexane. 20. What is the approximate pH that samples will reach using citrate salts per EN 15662 method? What is the buffering range?